Despite working all weekend, I still managed to take advantage of the amazing summer weather. Each night after work I'd go home and enjoy a quick swim in the pool. Well, if I'm being honest the very first thing I did was pour myself a glass of wine, then go for a swim, but you get the idea. I'm a lucky lady to be living in such a beautiful place...somebody pinch me. hm, perhaps living with the in-laws is not so bad after all?? Looks like paradise! I would've given anything to have a pool yesterday..... it was so hot! 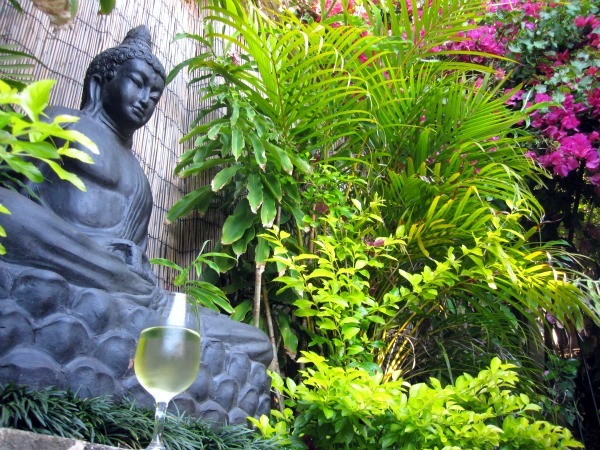 A nice clod glass of wine is a must on a hot day like we just had over the weekend in Sydney. And then all this rain today?!?!?!? WTF??? Jealous! That looks so tropical and warm, it's freezing here! It's beautiful there! 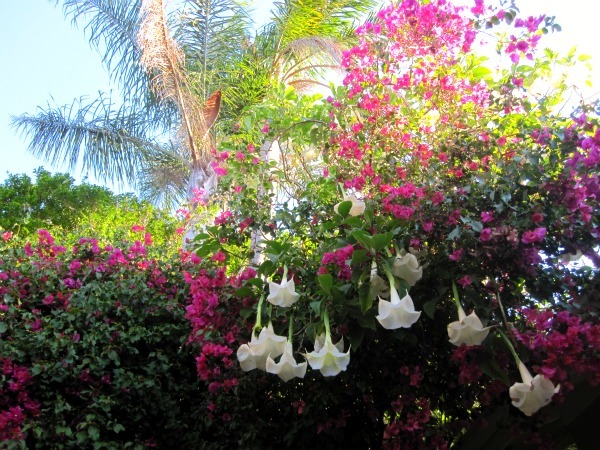 Love the angel trumpets hanging down. and magnolia square was great! it's very cool that you're working on the next one as well. What a perfect way to end a working day. Looks like living with the in laws has some perks as well. i think i wanna live where you do. that's quite the snazzy pool area! 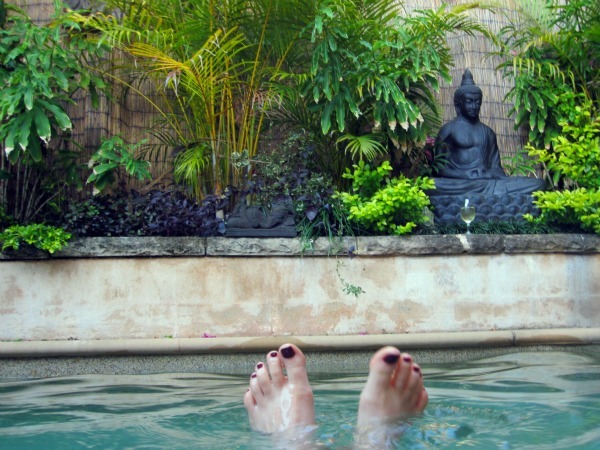 Oooh cold glass of wine and a dip in the pool....perfect indeed.